I’m a big fan of macaroni salad but I’m picky about it. I don’t like a ton of mayonnaise in my macaroni salad. I like to have some mustard flavor in it. However, I do like there to be some mayonnaise in it. My current favorite is the Amish Macaroni Salad from Martin’s. It’s my local food market and they make it fresh daily. While I really enjoy it, it’s a tad too sweet as most Amish Macaroni Salads are. I do find that it has the perfect amount of mustard and mayonnaise in it and there’s also fresh, crunchy vegetables in it too. 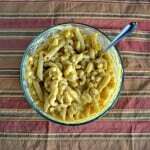 So I went looking for an Amish Macaroni Salad recipe that I could tweak to my liking. There’s a lot of them out there so I picked the one that looked the best to me. 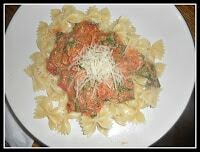 I liked that this recipe had fresh carrots, peppers, onions, and celery in it. 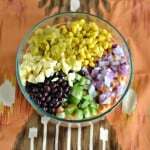 They add color and crunch to the recipe. I whipped up a batch on Sunday so I could take it in my lunch all week long. 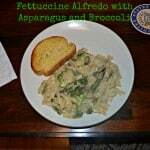 It’s great as a side dish to sandwiches, pizza, or even chicken. It keeps for about 5 days so it’s nice that a big batch lasts all week. 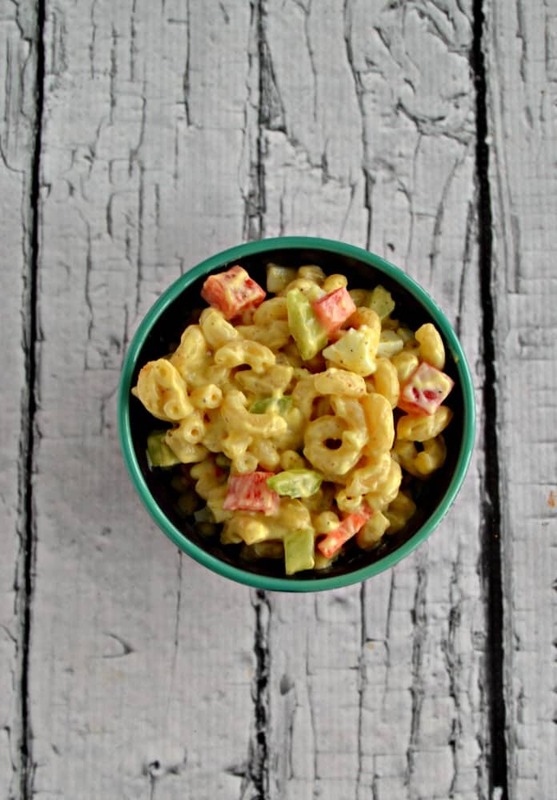 This macaroni salad has a tang from the mayonnaise and a bit of a bite from the mustard. I used a combination of yellow mustard and brown mustard. It has just a hint of sugar in it. The original recipe had a half cup of sugar in it but I only added a few tablespoons and it was perfect. 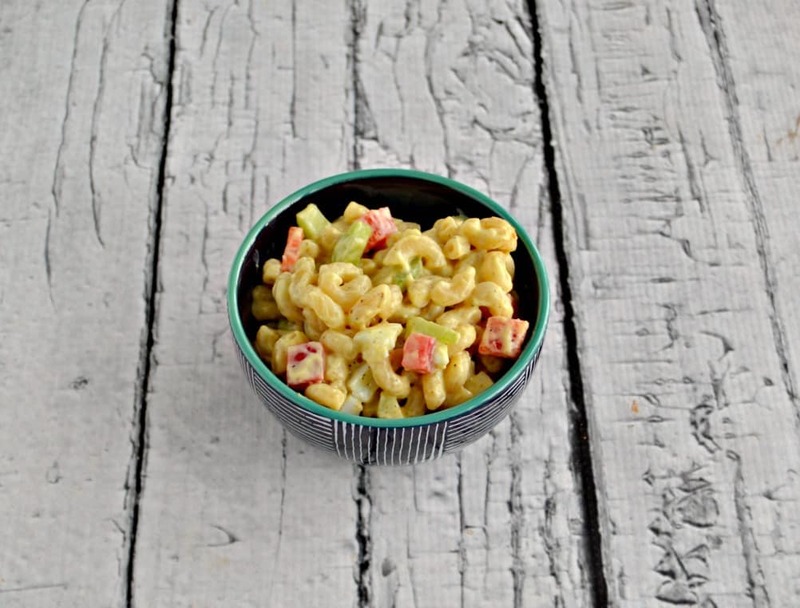 In any case, I think both my husband and I agree this is the best macaroni salad I’ve made. 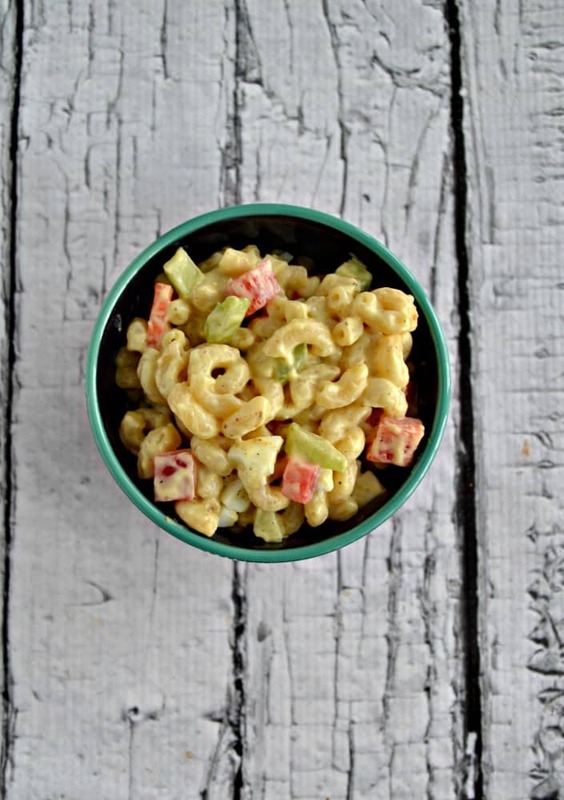 Make this tasty Amish Macaroni Salad just like you buy in the grocery store! Cook the pasta according to the package directions. Drain and run under cold water. 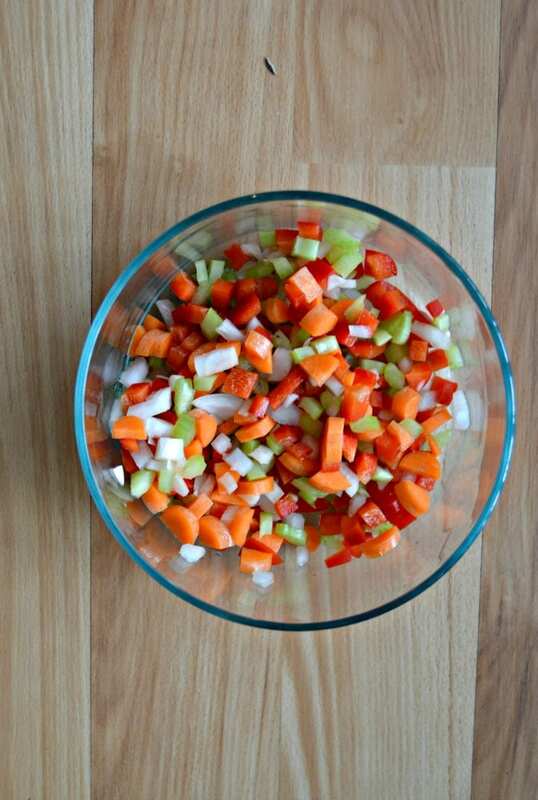 Place the pasta, eggs, peppers, onion, celery, and carrots in a large bowl and toss to combine. Set aside. 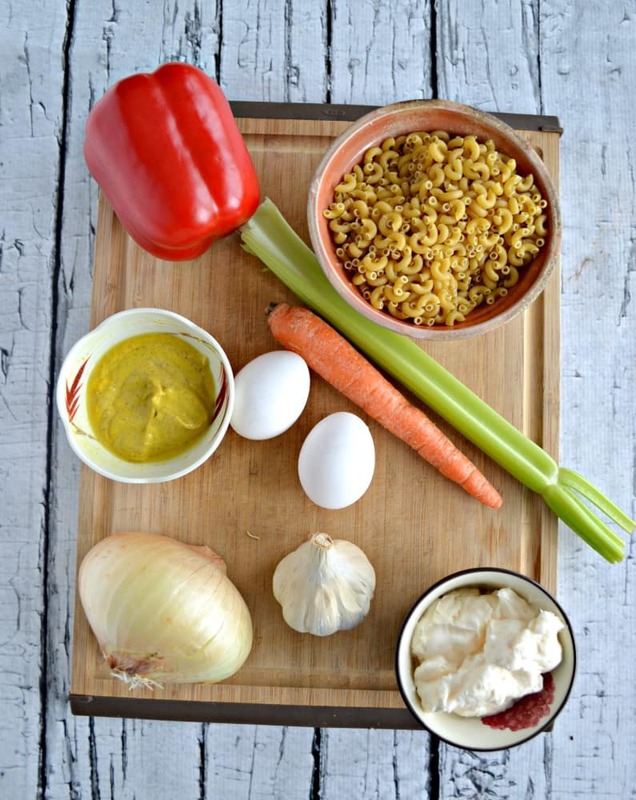 In a medium bowl combine the mayonnaise, relish, mustard, vinegar, sugar, celery seed, salt, and pepper. Mix well to combine. Pour the dressing over top of the pasta mixture. Mix well to combine.